In Hawaii, super-high grid prices and tons of sun have made solar pretty much the standard operating procedure for homeowners. With excess solar on the grid, here’s how Hawaiians could store some for later, without batteries. The concept is disarmingly simple. Electricity is used to do something everybody needs, and it doesn’t matter exactly when it is done, as long as gets done. And everybody needs hot water. So when the afternoon sun is producing more electricity on the grid than can be used at that time, it gets put to work doing something useful in what’s called a “distributed storage system”, and this distributed storage system is made up of hundreds of already existing storage units we all already have in our houses. By utilizing common storage devices that are already in place, and simply hooking them up to the grid, Hawaiians can get a cost-effective form of energy storage without resorting to buying batteries. So what is this common storage technology we all have already? 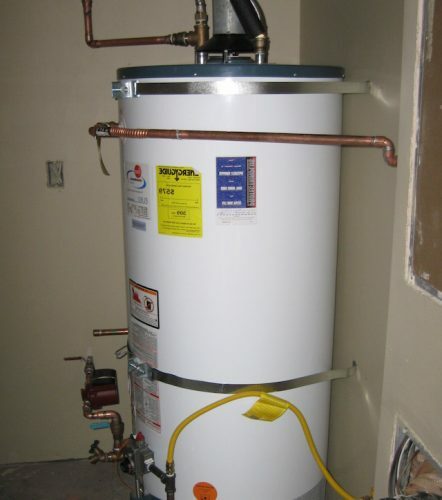 Yes, we’re talking about all of our boring old water heaters! It turns out, water heaters are just the ticket for mopping up spilled solar power on sunny afternoons. Here’s how that works. Hawaiian entrepreneur Olin Lagon has devised a virtual storage power plant of electric water heaters by making them grid-interactive. When you and your neighbors are making more solar energy than the grid can use right now, this Shifted Energy will store that surplus solar till later when you all do need it, perhaps when everyone comes home from work and puts dinner on. The grid is actually really rather fragile and sensitive – it cannot deal with too much or too little power at any one moment. This is why when there is too much wind in the wee hours when no one wants electricity, in some regions; utilities have actually paid customers to take it right away, to get it off the grid. Shifted Energy turns on a bunch of water heaters remotely by telling them when it’s time to heat the water. Normally water heaters do that at whatever time they please, in the middle of the night, morning, whenever. Now these ones will be remotely controlled to heat the water at the time of the day that the solar surplus is greatest, while also being sure to have hot water available when needed. And this is quite a powerful distributed storage system. Every 100 water heaters with Shifted Energy’s controllers and software can soak up 1 MW of excess solar every afternoon. Hawaii is the ideal place to ramp up this technology as it is already reaching solar saturation. As we add more and more solar, there’s the risk that afternoon solar could similarly become too abundant too. You might call this the solar spill risk. Obviously not as dangerous as some other energy spills, but it is a problem – wasted energy – in need of a solution. Fortunately there are some good ideas around. Lagon believes that the world is going to need alternatives to batteries because the scale of the global need to mop up afternoon solar over-generation will soon be reaching a crisis point as it is in Hawaii. But solar is also a wonderful technology and Lagon’s super simple and cost-effective concept will make it possible to spread it further over the day. He has nothing against batteries, but believes that as well as batteries, there will need to be new storage options, simply because the scale of the global need for storage on the worldwide grid as we ramp up renewable energy is much too great for batteries to be able to supply on their own. So far, the company has put together a storage system of 100 “smart” water heaters distributed among households in Hawaii to demonstrate that it can store 1 MW of energy ( 1,000 kW). 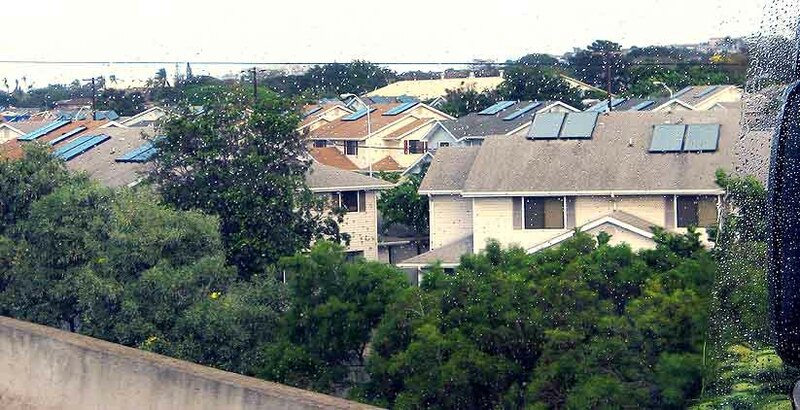 Most homes have solar arrays in the 2 kW to 12 kW range, depending on how much electricity they use, so at an average of 5 kW per home, then 1,000 kW would be the solar capacity of about 200 homes in Hawaii. 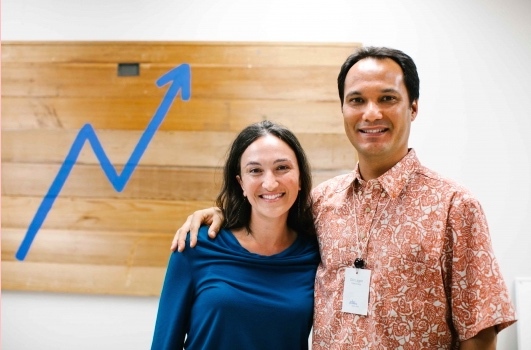 Next, in order to meet Hawaii’s Integrated Demand Response Portfolio; Shifted Energy is looking to put together a utility-scale 5 MW distributed storage system made up of 500 water heaters. Lagon said that utilities in Hawaii have been very willing to give such a novel idea a try. And homeowners needn’t worry that they won’t have hot water when they need it. Afternoon is actually the ideal time to top up the heat as the biggest demand for hot water is evening. But the focus is on the time of greatest solar production. “We time the heating of the water to coincide with excess renewable energy on the grid, effectively creating the world’s cheapest energy-storage solution,” Lagon said. Lagon said the system delivers demand response, while also ensuring that customers have hot water whenever they need it. So if it needs to top up again overnight for morning that would happen automatically.